Melt Festival has revealed its Sleepless Floor programme with Dubfire and Solomun plus a Bonobo pre-party for 2019. 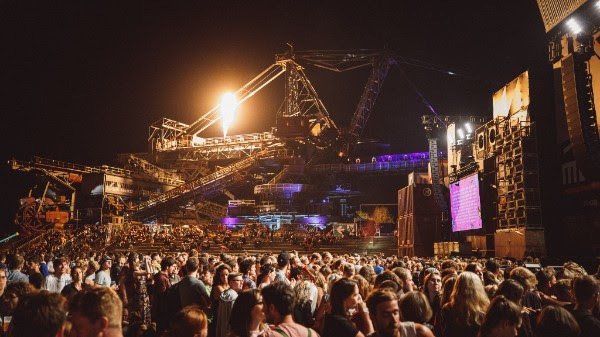 The festival returns to Ferropolis near Berlin from Thursday, July 18th to Sunday, July 21st with a Solomun Saturday takeover on the Sleepless Floor with Dubfire plus guests from his label, Diynamic. The Thursday will see Melt Festival host it’s pre-party with a DJ set from Bonobo plus KiNK, Mano Le Tough, DJ Perel and Sally C. Over the weekend, Melt will welcome acts previously-announced including Bon Iver, A$AP Rocky, Jorja Smith, Skepta, Four Tet, Modeselektor, Rin, Stephan Bodzin, Bilderbuch, David August and Arca. For news and tour dates go to meltfestival.de.